Around The World opens today and its a beautiful themed shopping event featuring styles from across the globe! 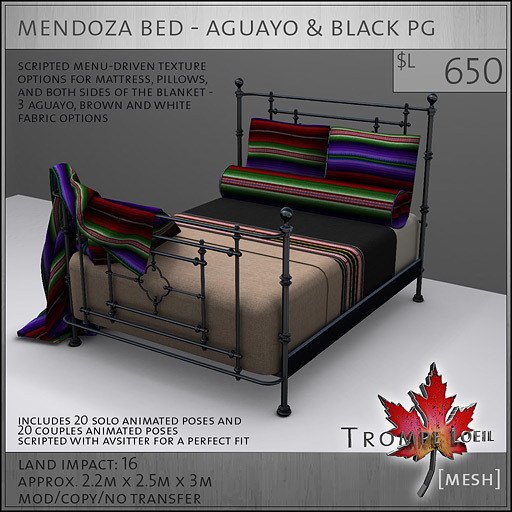 Trompe Loeil is sponsoring the South American area and we have a new bed with tons of scripted texture options to make your decorating so much easier: the Mendoza Bed! Pick your favorite frame – black, silver, or brass – and your favorite fabric style, either natural Aguayo or luxurious Satin. Each bed is scripted with a menu-driven texture change option so you can mix and match colors on the square pillows, round pillow, mattress, and top and bottom of the blanket for a unique look. Available in PG and Adult versions, and only 16 prims! 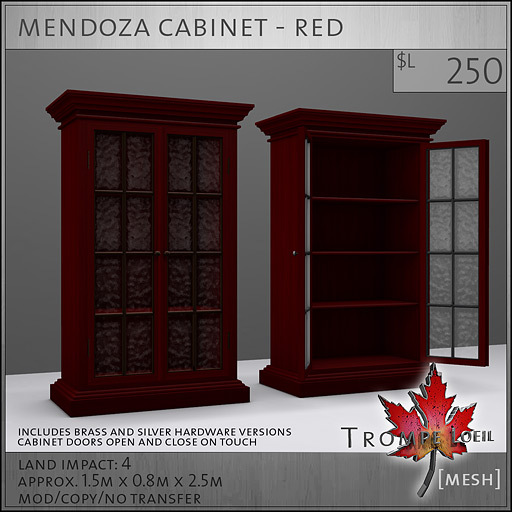 We also have new Mendoza Cabinets in 9 different colors – click the doors to open and close. 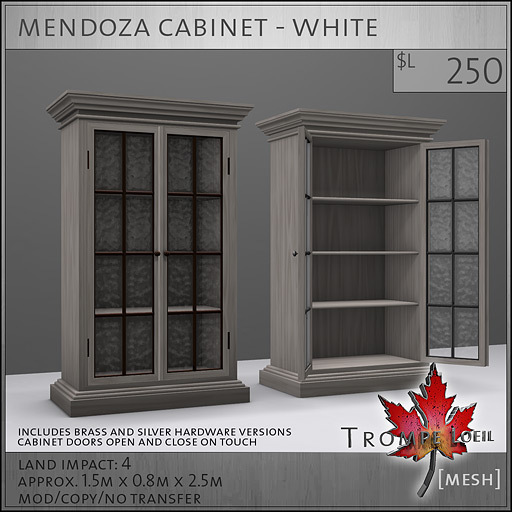 A great stylish accessory piece. Curio Tables for FAIR November!